A website developer and writer, Susan McCormick has written for ski industry consumer and trade publications. The former Managing Editor of Couloir Magazine, she has traveled all over the U.S. – as well as Canada, New Zealand, Switzerland, India, Chileand Argentina – writing destination pieces. Susan’s ski and travel stories have appeared in Skiing Magazine, Ski Press Magazine, SnoWorld Magazine, the SnowPress Show Daily and REI.com. She lives in Truckee, California and spends plenty of time “researching” in the Sierra Nevada mountains. Rob McCormick is an amateur photographer and filmmaker and major contributor to the blog. 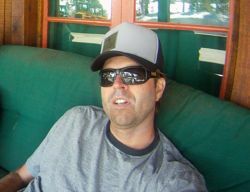 He has lived in North Lake Tahoe since 1994. 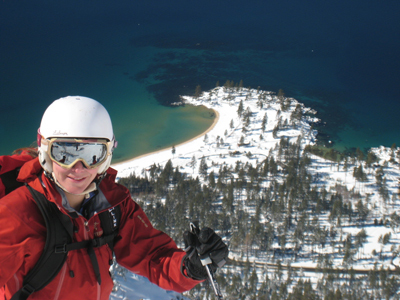 He likes backcountry tours in the North Lake Tahoe/Truckee region and beyond.